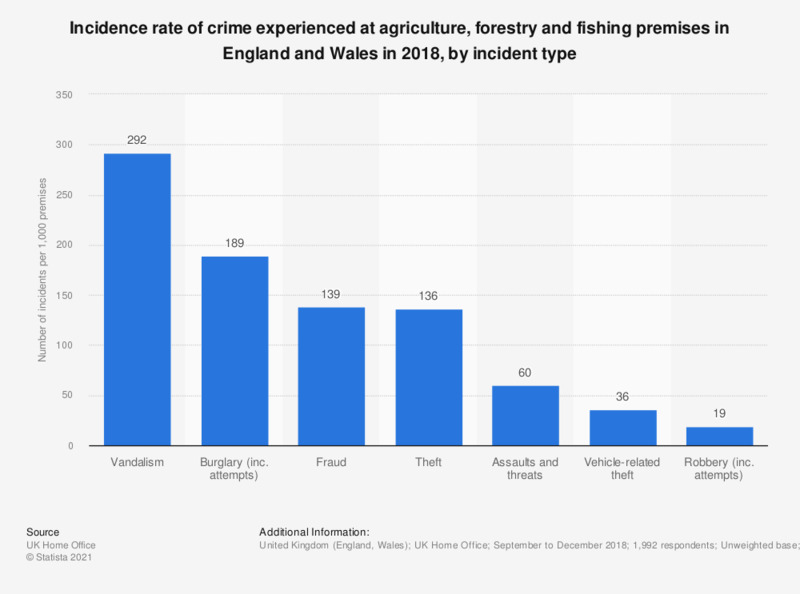 This survey shows the rate of crime incidents experienced at agriculture, forestry and fishing premises in England and Wales in 2017, by crime type. In the 12 months prior to survey, agriculture, forestry and fishing premises experienced a rate of approximately 335 incidents of theft per thousand premises. * Data refers to incidents in the 12 months prior to survey. Surveys were conducted between September and December 2017.